Tallinn, or historically known as Kolyvan, Lindanise and Reval (as the Estonian proverb says: “Heal lapsel mitu nime” – a good child has many names) is the fairy-tale-like capital of Estonia. It is a vivid mixture of new and old which dates back to 1154, when Arab Cartographer Al-Idrisi marked it on his map of the known world. 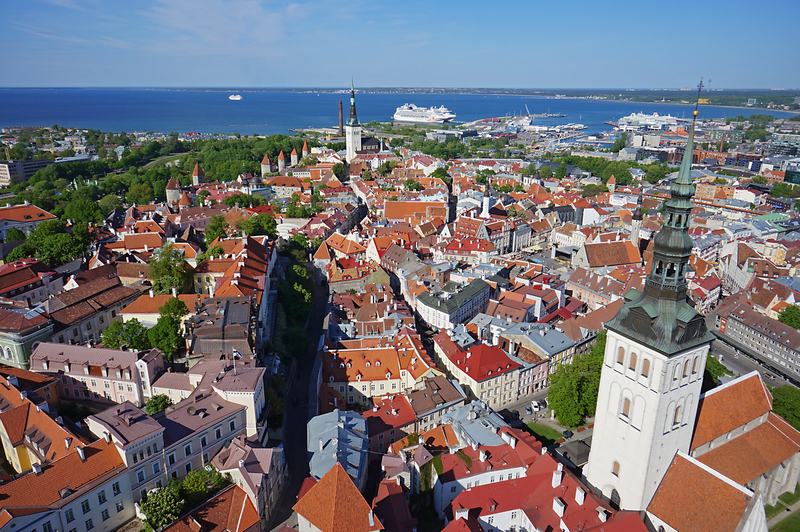 The current name of Tallinn is believed to derive from “Taani linn”, translated to English as “Danish Town”. Why? According to a legend, the Danish King’s Garden in Tallinn Old Town is regarded to be the birthplace of the Danish flag, the Dannebrog. The forces of Danish King Valdemar II were losing their battle with the Estonians when suddenly the skies opened and a red flag with a white cross floated down from the heavens. The luck of Valdemar II immediately changed and he won the battle. This would make it the World's oldest national flag still in use. The magical Old Town of Tallinn is an exceptionally complete and well-preserved medieval northern European trading city on the coast of the Baltic Sea. The city developed as a significant centre of the Hanseatic League during the major period of activity of this great trading organization in the 13th-16th centuries. While walking along the streets in the Old Town, you still might feel the spirit of a Hanseatic city– for example the Raeapteek (Town Hall’s Pharmacy) located near the Town Hall Square has been open since 1422 and the St. Olaf’s Church with its 159-metre spire was from almost 100 years the tallest building in the medieval world! Not really from the 15th century, but still the oldest cafés in Estonia, Maiasmokk (Sweet Tooth) from the year 1864 is also located in the medieval gem. The Old Town of Tallinn is also part of the UNESCO’s list of World Heritage Sites. However, next to the enchanting historic Old Town there is the new and exciting part of Tallinn. 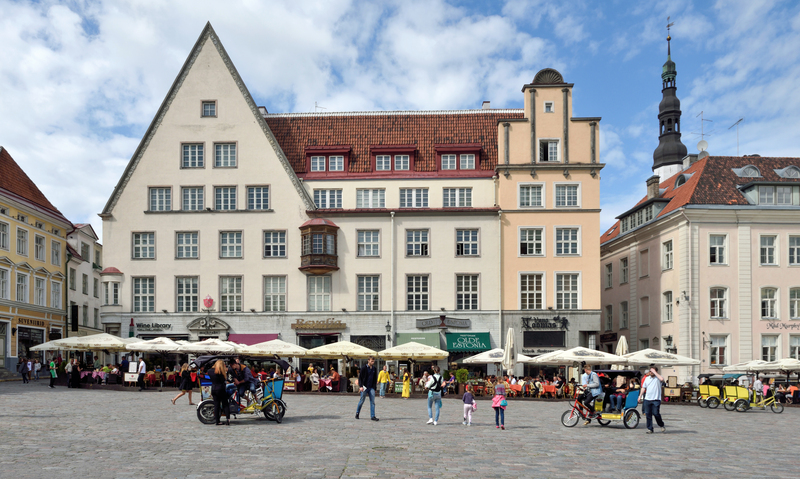 As Tallinn was the capital of culture in 2011, many new creative hubs and centres were created and further developed, like the Kultuurikatel (Culture Cauldron) and Telliskivi Creative City. The district of Kalamaja, often called as the “hipsterville” of Tallinn, is famous for its colourful wooden houses, creative areas, where you can find new cafés, bars and museums like the Seaplane Harbour. Nearby the coast there is Kadriorg, a romantic inner-city district, where is the presidential palace located. The district got its name from the Kadriorg Palace and Park, which was established by Peter the Great as a manifestation of love for his wife, Catherine I. The park is surrounded by equally historical and charming wooden houses. Kadriorg is also home to Estonian Art Museum, or as the local say, KUMU and the Kadriorg Art Museum and Adamson-Eric Museum. In 1813 the first seaside resort of the Russian Empire was established in Kadriorg. In Tallinn you can find new and old going hand in hand – time travelling from Medieval times at the Old Town to the 21st century architecture in the Rotermann district near the harbour takes only a couple of hours on foot!